These wedding templates will help the DIY bride create her own invitations, programs, save the date cards, address labels, guest list, seating chart, menu, wedding day timeline, budget, and place cards. All of the wedding templates are free and extremely easy to use. You'll need to open them up on your computer, edit them with your wedding details, and then print them off to use for your wedding. There are all different styles of wedding template, so you're sure to find one that matches your wedding vision. All of these free wedding templates can be customized with your own text and most can be changed to reflect your wedding colors. Combine these wedding templates with some free wedding fonts and free wedding clip art and you'll have some great looking printables for your wedding. 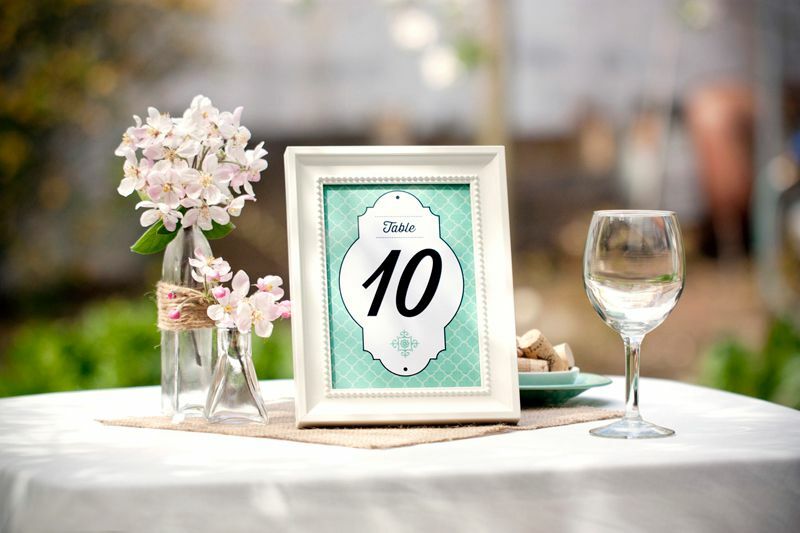 These wedding templates will help you create table numbers for your wedding reception. There's a large selection of styles available and they'll take you just a few minutes to complete. Create your own ceremony program with this set of wedding templates. You can customize them for your wedding by just replacing the sample text with your own. There's a wide variety of styles and they're available for both religious and secular ceremonies. These free wedding templates will let you enter your wedding information to create your own customized wedding invitations. There are many different styles of wedding templates to choose from and you'll save a bundle of cash by making them yourself. Whip up some stylish save the date cards in no time with these free wedding templates. This is a fun and easy DIY project that will give you some great results. Here are some free templates that will help you create your own address labels for your invitations and save the date cards. The designs are already done for you, all you need to do is enter your address and print them off. Here are some free wedding templates that will help you create some Will You Be My Bridesmaid cards that you can send to your girlfriends. There are tons of lovely templates here and you'll easily find one that reflects your style. Here are some different styles of free wedding place card templates that you can download, print, and add your guests' names. Wedding place cards are really easy to create and a great place to save money on your wedding. This free wedding favor box templates can act as place cards as well. Use these free wedding templates to create a thank you note to send out to guests after the big day. You're able to customize these thank you cards with names, the date, custom text, and with some of these, you can even add a wedding photo. Personalize these free wedding labels or favor tags to attach to your wedding stationery, favors, and just about anything else. The easy to use templates allow you to customize these labels before you print them. Have a great looking menu sitting on your guests' places when they arrive at the reception by using one of these free wedding templates. These wedding templates will help you create a custom menu in your own wedding colors. Use one of these wedding templates to create the seating chart for your reception. No matter what your venue is like and how your tables are going to be arranged, you'll find a wedding template here that will make creating your seating chart a breeze. Create your guest list with ease with these free wedding templates that let you enter your guests and keep track of important details such as number in their party and whether you've sent the thank you note. These wedding templates can be completed online and printed or printed and then handwritten. Keep the big day organized and running smoothly with these free wedding day timeline templates. There are lots of styles available and there are many options so you can give them out to the whole wedding party. 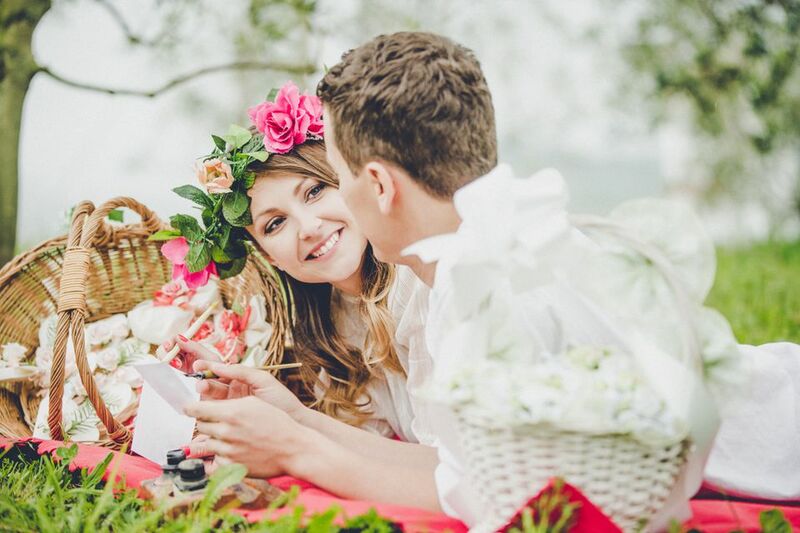 Here's a printable wedding budget template from Real Simple where you can keep track of your budgeted amount, the vendor estimate, and the amount spent for each item on your list. There are also some wedding budget templates available for you to download and use in Google Docs.